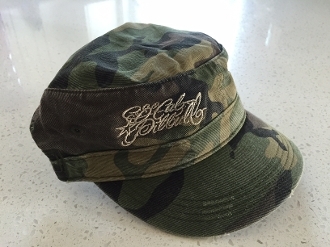 TRUE FIT TATTOO LIMITED COLLECTION: Unisex camo military hat with embroidered tattoo-inspired "SoCal Pitbull" on front upper left. Fully adjustable velcro closure in back. One size fits most.